The Chromium virus on Mac is a benign thing turned upside down, where cybercriminals equip the open-source web browser with intrusive adware plugins. Skewing the way regular software acts is on most malware authors’ wish list. This way, they can successfully peddle booby-trapped apps while passing them off as something legitimate, which certainly increases the odds of users installing the troublemaking entities. The distribution of the Chromium browser injected with aggressive helper objects has been the talk of the town lately. This issue stands out from the Mac malware crowd as it involves a harmless piece of software weaponized by crooks. For those uninitiated, Chromium is an open-source project that gave birth to Google Chrome and currently allows anybody to create their web browser build with specific preferences hard-coded in it. The attackers have perpetrated a campaign where they spread a Mac variant of Chromium equipped with add-ons that exhibit adverse functionality. 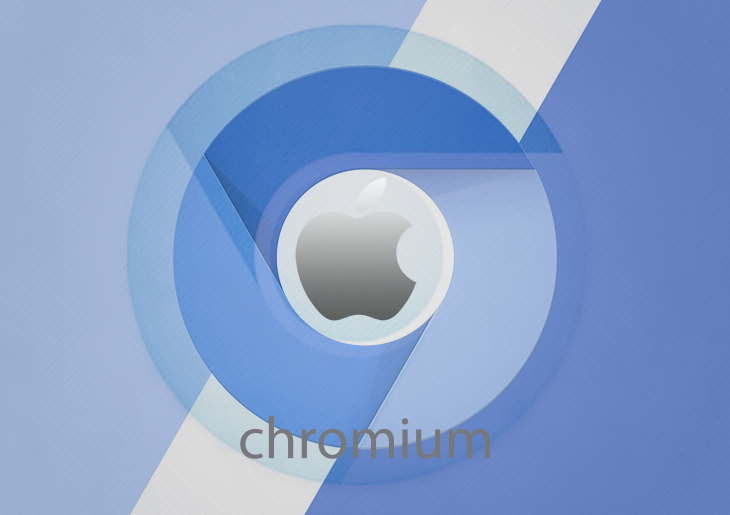 The rogue editions of Chromium may look identical to its better-known reputable Chrome counterpart, so the average Mac user is unlikely to notice anything suspicious about it from the start. The tip of the iceberg is a smooth-performing and intuitive Internet navigation instrument. It’s not until the victim gives the browser a shot for a while that they will realize the crucial difference on the inside. The Chromium virus keeps forwarding the web traffic to some predefined site, such as Yahoo! search. Furthermore, the meddlesome app is set as the default browser on the host Mac without proper permission. The irritating redirects will be invoked every time the user launches the browser or tries to look up random information online. To top it all off, the invasive plugin will be added to Safari, Firefox and the genuine Chrome so that the rerouting activity affects them as well. As a brief recap on the above, the telltale signals of the Chromium virus presence on a Mac include the rogue browser being set as the default one, and the constant Internet traffic redirects to a web page the victim never opted for, most likely Yahoo! or a more exotic pseudo search provider like TapuFind. But how does the unannounced code install itself on a Mac. Those infected can’t recall agreeing to any changes in their web surfing routine prior to the predicament. The trespass is more subtle than that, which explains the unawareness. The Chromium malware is doing the rounds through bundling. This is a popular software installation mechanism that results in extra items landing onto a computer rather than one that’s clearly indicated. The typical workflow engages multi-element setup wizards for freeware, such as uTorrent clients, media players, streaming video downloaders and the like. The advanced install option mentions that the “Chromium browser powered by Yahoo!” will be installed, and said search engine will become the priority one on other browsers. It’s too bad that people hardly ever opt out of the quick setup, which doesn’t provide any such details. Note that the persistent extension pushed along the way is called “Search Manager” or simply “Management”. If you are experiencing these issues on Mac, it’s about time you performed a thorough cleanup to get rid of the Chromium virus and undo the browser tweaking it caused. When confronted with malicious code like the Chromium virus on Mac, you can neutralize its toxic impact by leveraging a specially crafted system utility. The Freshmac application (read review) is a perfect match for this purpose as it delivers essential security features along with must-have modules for Mac optimization. This tool cleans unneeded applications and persistent malware in one click. It also protects your privacy by eliminating tracking cookies, frees up disk space, and manages startup apps to decrease boot time. On top of that, it boasts 24/7 tech support. The following steps will walk you through automatic removal of the Chromium infection from Mac. Check whether the Chromium and Yahoo! redirect problem has been fixed. If it perseveres, go to the Uninstaller option on Freshmac GUI. Locate an entry that appears suspicious, select it and click Fix Safely button to force-uninstall the unwanted application. Go to Temp and Startup Apps panes on the interface and have all redundant or suspicious items eliminated as well. The Chromium virus shouldn’t be causing any further trouble.